Shaanxi Gaosu Shenzhou Hotel, a 4-star hotel, is a new luxury tourist business hotel, is located at the heart of Xian – south section of Ring East Road. 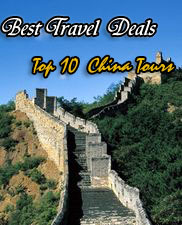 With good location and convenient traffic, it is only 10-minute driving distance from railway Station, 40-minute driving distance from airport, and close to Bell Tower, Liberation Road, Dongda Street and some flourishing business areas, provincial and city government administrations and the Xian International Exhibition Center, and next to moat river, Xian ancient City Wall and the city landscape garden. 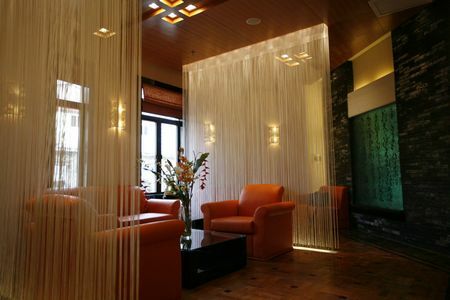 Gaosu Shenzhou Hotel is the exquisite combination of modern hotel and the old humanlized landscapes. 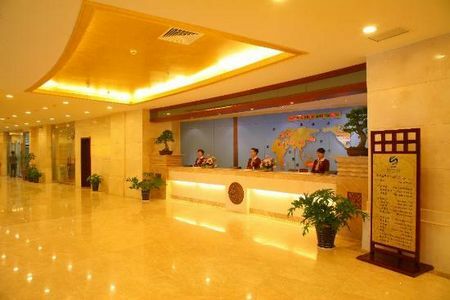 With comfortable environment, perfect facilities and well-reputed service, Gaosu Shenzhou Hotel is the best choice for business trip, tourist and holiday in Xian. 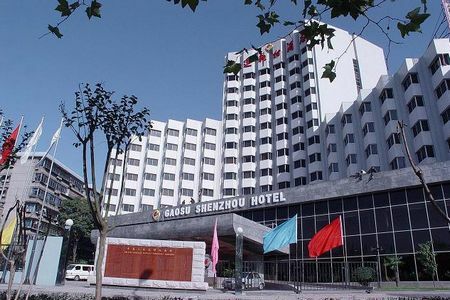 Went into operation in 2010, the Gaosu Shenzhou Hotel owns 292 spacious guestrooms, including standard room, single room, deluxe standard room, deluxe single room, president suite, deluxe suite and standard suite. All are equipped with the complete room amenities, such as Domestic direct-dial telephone, International direct-dial telephone, Writing desk, 24-hour hot water, Electric kettle, Separate shower room, Hair dryer, central air conditioning, etc. Standing in the elegant room, the beautiful surroundings all jump into sights. How luxury! Living in such room, guests seem like at home, convenient and comfortable. 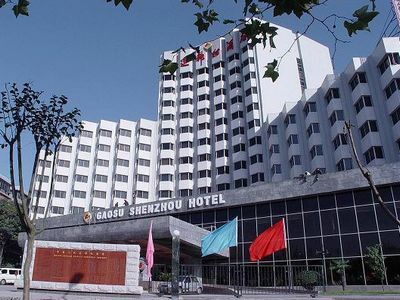 Goasu Shenzhou Hotel has 15 conference rooms, can receive different kinds of conference with 350 people at most, and 15 Chinese and western restaurants and banquet halls for holding wedding banquet and various banquets. In addition, this hotel still sets the massage, sauna, beauty salon, fitness center and chess room to guests living in hotel. In the backyard, there is a large basketball court and a parking lot with 170 stalls. Property Amenities: Meeting facilities, Business center, Currency exchange, Laundry service, Shops in Hotel, Beauty salon, Airport pickup service, etc.